Mercy Health is a multi-campus health care system dedicated to providing highly personalized care, excellent access to primary care providers and specialists and a more informed patient experience. Mercy Health Physician Partners, our multi-specialty physician network, employs a total of 491 providers: 275 Physicians and Advanced Practice Professionals in Grand Rapids and 216 Physicians and Advanced Practice Professionals in Muskegon and the lakeshore. The system includes leading teaching hospitals, and renowned clinical leadership in oncology, cardiology, orthopedics, and neurology. 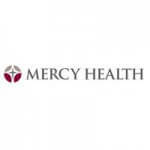 Mercy Health Saint Mary's is a Magnet®-recognized hospital. Mercy Health is a $1.3 billion health system that serves 1.5 million residents across 13 counties in western Michigan. Fourteen-hundred physicians and hundreds more clinicians deliver care in eight hospitals and 100-plus outpatient and medical office settings. Mercy Health registered 58,000 admissions, 34,000 outpatient surgeries, and 350,000 Emergency Room visits in its most recent fiscal year through service locations in Grand Rapids and Muskegon and the surrounding areas. Known for its focus on quality care and clinical information technology, Mercy Health is an Employer of Choice for professionals seeking a variety of care settings and opportunities that range from intensive hospital-based specialty care to community-based primary, home and long-term care.